I was featured in two great Etsy treasuries over the weekend! Treasuries are galleries of items that are curated by other Etsy members and then posted on the Treasury section. 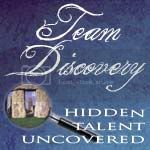 The Treasury Challenge was coordinated by Team Discovery, a wonderful group of Etsy members promoting undiscovered shops. This entry was posted in etsy by Stitch To Stitch. Bookmark the permalink.